Gift certificates make the perfect gift! 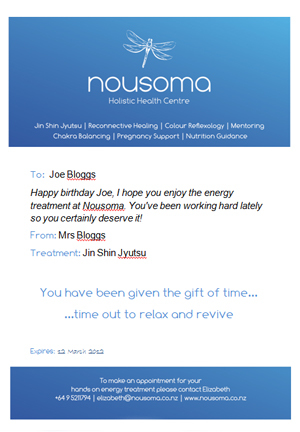 We can create a beautiful gift certificate with a personalised message for any Nousoma treatment. Contact us today to find out more.